Is Hull Street poised to be the next hip and happening address in Richmond? Scott’s Addition is hopping and Manchester is popping. But a question lies within the ongoing re-imagination of these once-neglected districts with infusions of cash and energy: What other urban neighborhoods are on the cusp of blossoming? Two basic conditions must be in place: First, existing building stock that’s flexible enough to be molded in new and preferably multiple directions for residential, commercial, office or light industrial use. And second, close enough proximity to the pulse of the center city. 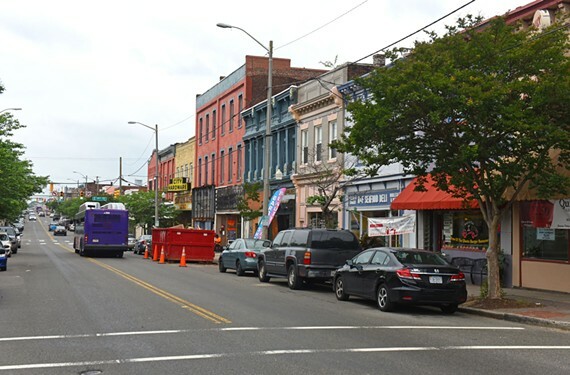 In North Side, the Brookland Park Boulevard corridor offers possibilities, extending from Chamberlayne Avenue to a locale known as Six Points. True, the former commercial buildings mostly are small and need attention, but the housing stock in nearby Battery Park, Highland Park, Chestnut Hill and Barton Heights offers stable, supporting neighborhoods. And Community High School, housed in glorious old Chandler Middle School, is an institutional anchor. Also, the Hull Street corridor — once Manchester’s thriving downtown — is worthy of additional consideration, stretching from Commerce Road to Clopton Street. Certain blocks have been transformed for the better while other buildings are under restoration. But the stabilization of Blackwell, with new home construction, and the resurgence of Manchester offer the underpinnings of a local economic base. And with too many vacant lots, there’s tremendous opportunity for infill construction. An area with considerable geographical appeal is Fulton Hill, already the residence of choice by some of the local cognoscenti. With Church Hill getting hipper by the minute to the west of this East End neighborhood, and Rocketts Landing and impressive breweries taking hold on the south, this area can’t help but be on the cusp of greater popularity. Editor's note: This reflects a correction to the print version, which should have referred to the Brookland Park area known as Six Points.